Facilities: Tea, Coffee and Vegan Delights available from St Judes. 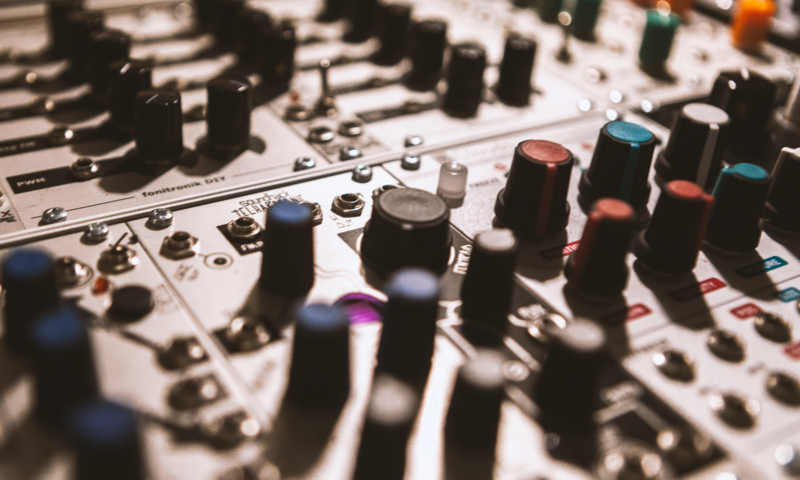 Come and join us for a discussion with artists from the DIY and modular synthesiser background, as they talk about how they started building, buying and or using modular synths…and why. Modular synth demonstrations will also take place throughout the discussion. This is a perfect opportunity for anyone interested in finding out more about modular synthesisers. Ongoing: Drop Into One of Irelands Largest Independent Records Shops! Abbazappa Records is busting with all-sorts of of pre-loved and new vinyl, from across a wide variety of genres and periods. Not only that; the shop stocks all-sorts of turntables, tape machines, music clothing and more. It’s a crate diggers paradise! Ben (the owner – pictured above) will be opening the shop a little later that normal, to accommodate the festival.